="Gettysburg & Northern Railroad,Cumberland Valley Railroad,Reading Railway, Mt. Holly Springs, South Mountain Railroad, Gettysburg & Harrisburg Railroad"
Pine Grove Furnace was the destination of a CVRR built railroad constructed in 1868 and 1869. The furnace is reported to have dated from 1770, however it was out of production when bought by Jay Cooke and others. Included in the purchase was 20,000 acres in the valley in South Mountain created by Mountain Creek. 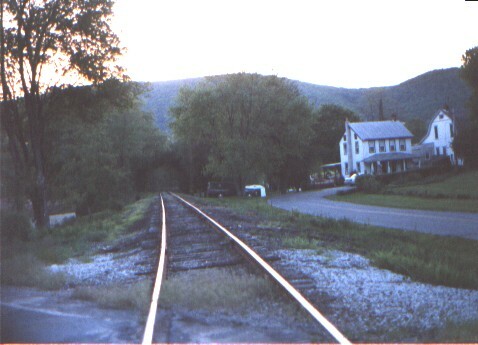 The railroad connected with the CVRR near the present day Army War College and went across the valley to Mt. Holly Springs. From Mt. 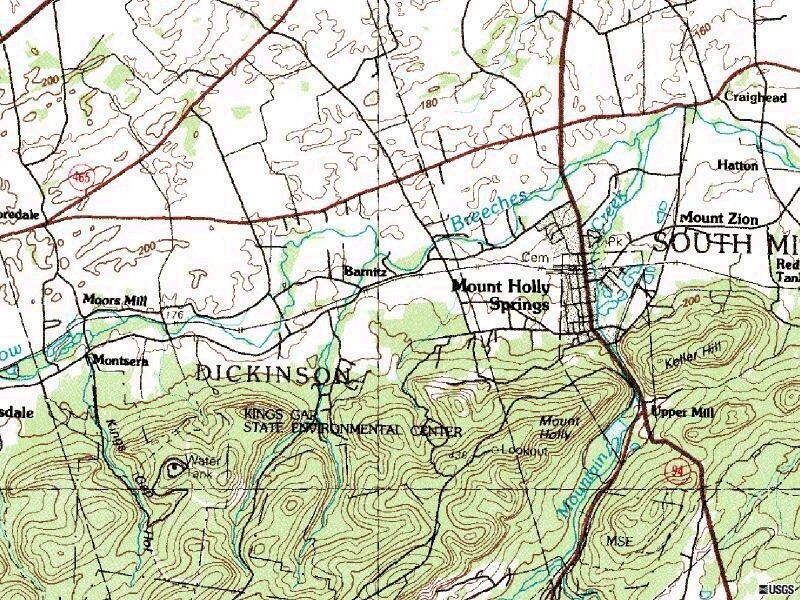 Holly, the railroad followed Mountain creek to Pine Grove Furnace. The total route was 17 miles. 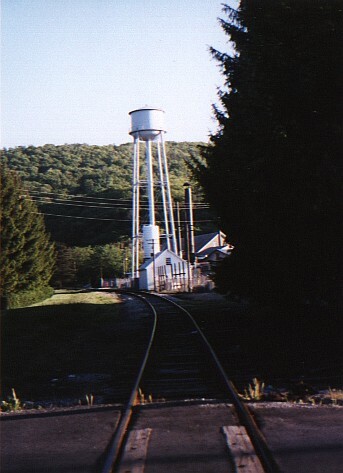 South Mountain is unique among CVRR branches because it was eventually bought and operated by the Reading Railroad and a portion of this railroad is still operated. 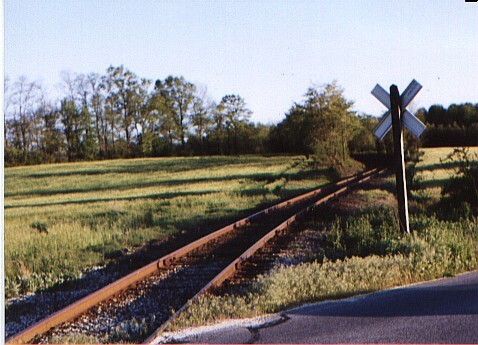 The section from Carlise to Hunter's Run was merged into the Gettysburg and Harrisburg Railway in 1891. The conection with the former Reading near Carl tower. This location is referred to Carlisle Junction. 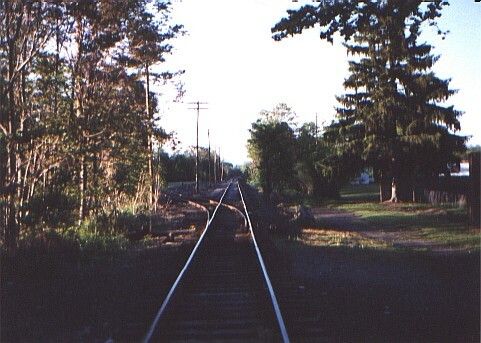 From Pine Street crossing looking north towards Carlisle Junction. 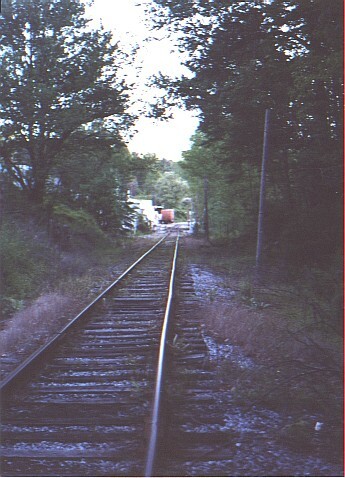 One box car is on an interchange track in the distance. From Pine Street looking south, the location of former Mt. Holly papermill. 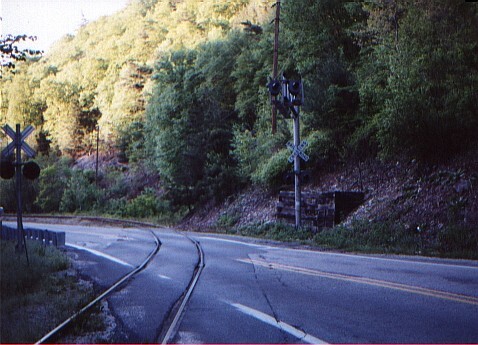 Route 34 crossing south of Mt. Holly. View from crossing toward Upper Mill. Ahlstrom paper facility has one box car on the sideing. 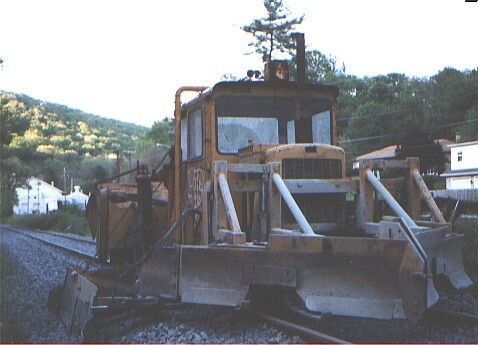 Rinehart track maintenance equipment near Upper Mill. 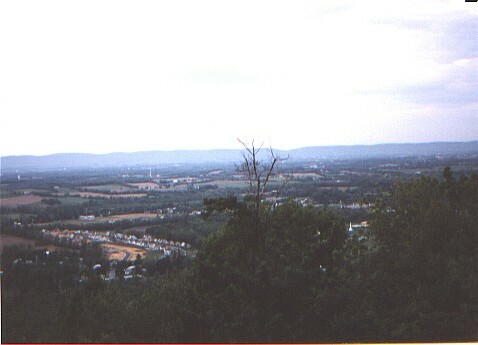 View from Mount Holly. In the foreground is Mt. Holly Springs. In the distance is Carlisle. Gettysburg & Northern Railroad Co.
On February 20, 2001, the Gettysburg & Northern Railroad Co., a wholly-owned subsidiary of Pioneer Railcorp, purchased 25 miles of railroad and facilities from various corporate entities owned by John H. Marino of Manassas, Virginia. 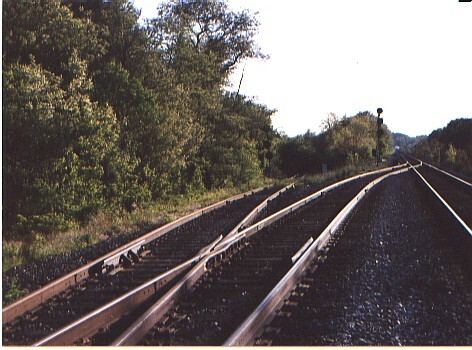 The line formerly known as the Gettysburg Railway Co. runs northward from a connection with CSX at Gettysburg, Pennsylvania to Mount Holly Springs where there is a connection with Norfolk Southern. The railroad serves Inland Container Corp. (inbound pulpboard and starch/outbound scrap paper), Knouse Foods Co-Operative (inbound rice hulls/outbound canned goods), Cadbury-Motts (inbound corn syrup/outbound canned goods) and Ziegler Brothers Co. (inbound grain).